As had been noted and documented before, our head wrench, Bob Hammond, can shred. His reputation is so stellar that he’s been asked to help instruct a clinic on how to rail the pump track, and your first chance to learn from the master is this Sunday! LIV Cycling gave Bob the ol’ ring (well, probably a text message first) to see if our guy could help offer up so pointer on jumping and pumping in the dirt. Bob is a long-time BMX and dirt jumper, in addition to being a pretty incredible downhiller, too. He was jazzed to join in, and you can get involved to learn about riding and jumping. The clinic will go over everything from how to ride berms, smalls jumps, pump tracks, and the basics of getting airborne. No prior experience is needed, but you’re going to want to be comfortable with basic handling skills. Pop on your flat pedals and wear a helmet (duh) and we’ll work you up to being comfortable getting off the ground. The morning session will be structured to help beginners tackle the basics, while the afternoon session will be designed to offer more experienced riders a bit more instruction for more speed, higher jumps, and the chance to push their limits that little bit further. Proceeds from both sessions will go to help the on-going GR Bike Park rebuild! The GR Bike Park is going to be THE place to use these skills once construction on the second phase, currently in progress, is completed for the season. For updates on the both sessions, keep an eye on things here. Each session is just $10, with the event taking place this Sunday, September 23, at Rock City BMX. 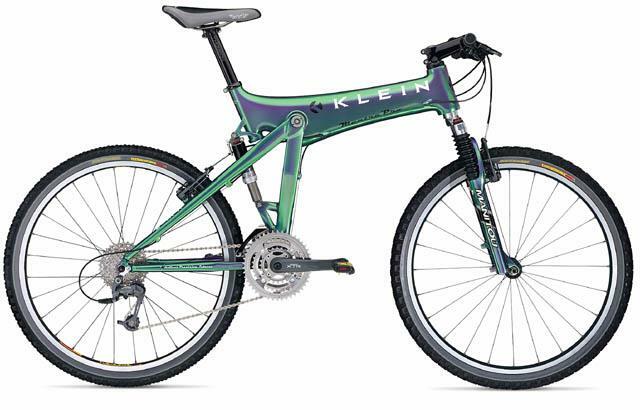 As we were scrolling through old photos to get ready for the Suspension Clinic, we came across plenty of really cool mountain bikes from the 90s. For riders who got their start back in that glorious era, it's hilarious and yet somehow incredible to look back at the technology of that era. Manufacturers were just beginning to work with new materials in designs on the road side of things, and some of that quickly made the jump to what was a sport just finding its legs. Mountain biking exploded in the early 90s, and brands were eager to promise the Holy Trinity of cycling, which they still promise today; lighter, stiffer, faster bikes. And just how they did that varied wildly, and looked even more wild. Hard tails offered cantilever brakes and suspension forks from Rock Shox and Manitou, but those were still in their infancy. Most offered zero adjustment rubber elastamer travel, some with as little as 20mm. Many riders opted just to stick with their classic steel forks; at least those were reliable! Steel was still king, but aluminum was offered at more and more price points as the decade progressed, ultimately becoming the default material. Kona was just a toddler, popping up in 1988 and offering one of the wildest full suspension designs of the era. By 1998, the designers had concocted the Stinky 5, which weighed about 500 pounds, bobbed like crazy, but looked just incredible. The bike was nothing if not bold. Of course the iconic design of the 90s was the Klein. The hardtail option, the Attitude, is still lust-worthy, and we know plenty of riders who still ride theirs around the neighborhood and even on the trails when the tug of nostalgia becomes a bit too much to ignore. It was the Mantra, though, that really set the tone for the outlandish era of full suspension. There's a sense that the designers of the day were really reaching for something, knew they were reaching for something, and just didn't care if it came out just off the mark. By 1999, the Mantra had reached its zenith; Specialized, Trek, and Cannondale would all have Y-bike options well entrenched, and full suspension bikes weren't a novelty anymore. What did change, however, were the expectations of riders. After a decade of 'dual suspension', they were less forgiving with pedal bob, blown out pivots, and bikes that weighed well over 30 pounds just to have a few measly millimeters of travel. Like anything else in the industry, the drive was on to improve the design and materials of full suspension to get us to where we are today. The craziest thing to think about is where we are now and where bikes will be in another twenty years; maybe the Mantra won't look so strange by 2040!